Cliff and his team at CIA are the best. 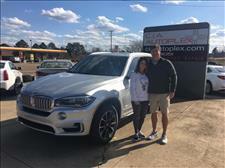 My wife and I looked for a BMW X5 all over the southeast for 3 months only to figure out the best value vehicle was right here in the Jackson Metro. I love the car buying and haggling sales model. Most people don’t and that’s what you get at CIA. Quality vehicles with exceptional value. Terry and Josh treated my wife great with no pressure at all. Can’t wait for the Madison location to open. 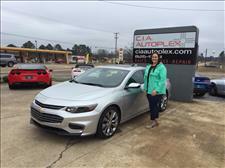 Kelli Cates Reaves recommends CIA Autoplex. 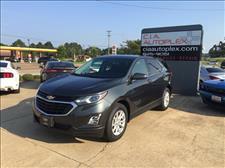 Searching within a 200-mile radius, CIA has the BEST prices on high quality vehicles. They take very good care of their cars so customers are pleased. Customer service (thanks Josh) is friendly, honest, helpful and fun. 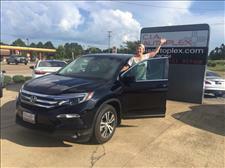 Quick, reliable, easy car buying experience. Very professional, knowledgeable, and fairly priced! Would highly recommend! 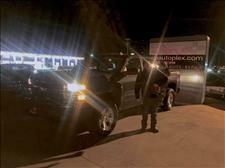 Cosslen Latham recommends CIA Autoplex. 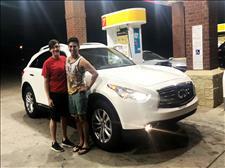 Josh was my salesman and he made it the best car purchasing experience I've ever had. I first talked to him over the phone when I spotted the car I fell in love with. He gave me all the information I needed. I told him I would be coming for it on that Friday. But the time I made it there everything was in place. It literally took me no more than 30 mins to buy a car thanks to Josh... Unfortunately, it was some kind of spots in the paint of the car so since I was from out of town he gave me an "I owe you" and took care of everything... I would definitely buy from CIA Autoplex again. 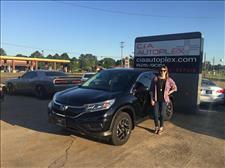 April Easterling Davidson recommends CIA Autoplex. Josh was great, and the entire team was professional. A no hassle atmosphere. Will definitely buy again. 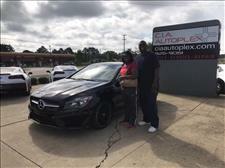 I purchase a car every 10 to 13 years if I can help it. I'm not one of those people that goes looking for the next thing to "breakdown" every year during tax season. And if my car hadn't been totaled out by the insurance company, I would have driven it till the wheels feel off. C.I.A. and their sales person, Memory (hey girl, hey) made this the best shopping experience EVER!! The website provided enough detail for me to narrow down my choices. Memory worked with me via text and phone calls to get everything arranged. My sister was there for the test drive and has decided she'll be coming back when she's ready to buy. No pressure, no pushing. Told her what I was looking for and how much I could afford to spend and that was it, done deal. I still don't plan to buy another car for another 10 years, but if life decides for me again, I will definitely come back to C.I.A. Autoplex. Mark Branning recommends CIA Autoplex. These guys are great! Low pressure sales with a great inventory! Memory, our sales person was absolutely amazing! I would definitely recommend Memory and CIA for you car buying needs. Deborah Henry Bourne recommends CIA Autoplex. 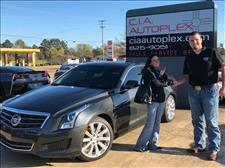 CIA is by far the best and easiest dealership I think I have ever done business with. Our Sales person “Memory” was phenomenal, I made the call when I found the Jeep and it was on from there. She was very patient and went the extra making making sure when we arrived to pick up the Jeep everything was done . She is by far the best I’ve met yet. Please if you’re in the market for an upgrade in a vehicle contact Memory she will take care of you. All I can say that it was an awesome experience. Thanks again Memory ????????????? ?Loving my ?? 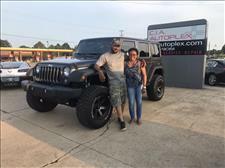 Great place to purchase a vehicle !!! !Memory was great. She worked with me due to the fact we was communicating through email. I was in and out without any problems. Everyone there was friendly.  Kyle Lee Alaniz recommends CIA Autoplex. 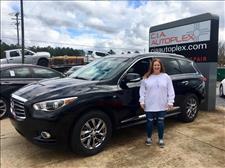 After searching for well over a month for a very specific vehicle (and comparing pricing to the one I bought from CIA) I decided to purchase a 2015 QX70 from Memory. Within 800 miles of me they had the best price! I drove all the way from Lake Charles, La to purchase. 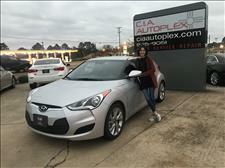 Memory was amazing through the whole process and I would recommend her along with CIA Autoplex to anyone looking for a vehicle! Ashlee Thompson recommends CIA Autoplex. I had an amazing experience at CIA. Memory knew exactly what I was looking for and wouldn't stop until she found it. Everyone was very helpful. Ashley Wells recommends CIA Autoplex. I worked with Memory to purchase my vehicle! She was amazing and incredibly helpful with everything. There wasn’t a question she couldn’t answer. 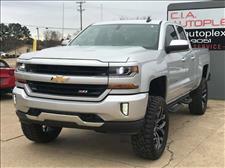 I would recommend them to anyone looking for a vehicle. ?? Seriously the best experience I have ever had buying a vehicle. 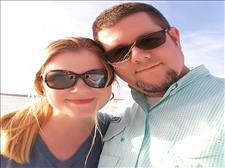 We will definitely be back to speak to Memory McAlpin and Wesley Stringer. Thank you so much for the kindness and honesty you both had during the process and making this as easy as possible. We have purchased many cars over the years and this was one of the best experiences we’ve ever had. Memory was so nice, knowledgeable, and helpful. Michael and Wesley, in the finance dept., were super too. All of the cars we test-drove were in great condition, which tells me they are very particular about cars they put on their lot. We ended up buying 2 cars the same day. Highly recommend this company! 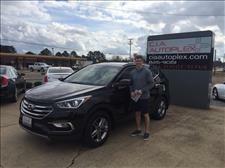 Cody Berry recommends CIA Autoplex. 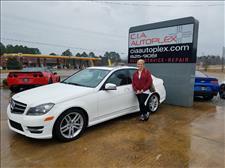 Tamy Breedlove recommends CIA Autoplex. This establishment is AWESOME! I'm so impressed with the courtesy and professionalism that was shown to my family and myself on purchasing my vehicle. Josh you are GREAT and I appreciate all of your professionalism, time and patience, you NEVER made us feel any type of way in welcome. Josh is there to help in any kind of way. At CIA EVERYBODY is SOMEBODY. God Bless each and everyone of you. Just purchased a vehicle from here. 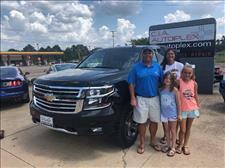 Our salesman Terry Schenck was fantastic. My family will definitely buy from him again. He was very helpful and a very kind, honest, & genuine man. If you need a vehicle I very highly recommend him. 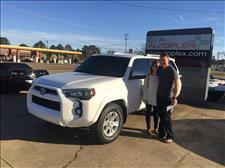 Call Terry Schenck (6015727572) at CIA AutoPlex... 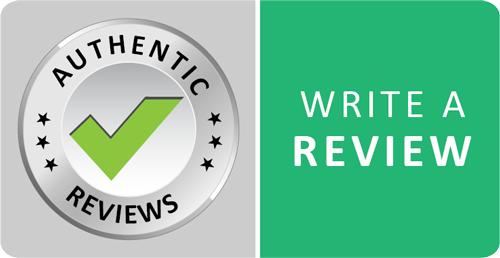 In regards to overall experience the purchase was very pleasant from beginning to end. 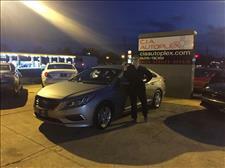 Jason Coleman recommends CIA Autoplex. Josh was great to work with!! Vanessa Burns-Herbert recommends CIA Autoplex. 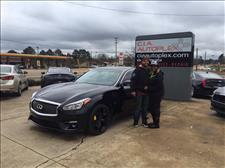 We purchased a 2015 Infiniti Q70 today! It was an awesome experience! 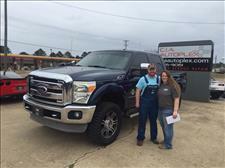 Our salesman Joshua Jones made it happen! We are very satisfied! Josh was a great salesman. Rest of staff was very nice. Wesley in finance explained everything. 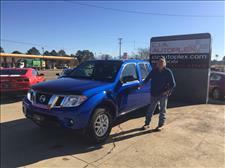 Drove in looking and drove out with great truck. 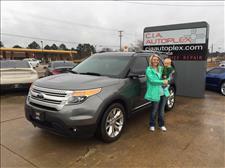 Danielle Cole recommends CIA Autoplex. 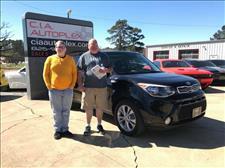 Lee Rich recommends CIA Autoplex. I went to CIA a few weeks ago to look at one of their vehicles. Josh is the salesman I’ve been working with. The vehicle we were gonna purchase possibly had an issue. Jarod the Manager and Josh stayed in contact with me throughout the process. 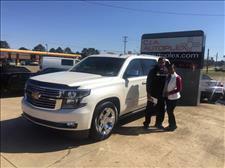 Their honesty and commitment to a purchaser went above and beyond what you expect from a dealership. I highly recommend this dealership to anyone looking to purchase a vehicle. Also a thank you to Hunter and Michael. Thank you for a great experience! We left with the exact vehicle my wife wanted! KD Hillman recommends CIA Autoplex. Today I went home with exactly what I wanted, thanks to Josh at CIA Autoplex. My experience was hassle free and I didn’t feel like Josh was anything less than honest and professional. I’m so happy we were able to get things squared away so quickly! My drive home was PERFECTION! CIA was awesome!!! Walked in, found what I wanted, done deal out the door!!! No hassle no haggle... I told them what I would pay and that’s without paid!!! Go see Josh Johnson he will take care of you!!! My experience was wonderful! I was contacted the same hour I responded I was interested in my vehicle. The questions I had concerning the vehicle at the time I was contacted was answered. 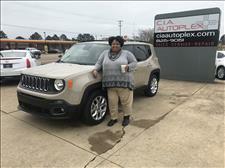 when I arrived at the dealership my vehicle was clean an ready for a test drive! I was very impressed! The staff was great, as I walked in the door they offered something cold to drink that was nice! I arrived at work on Friday and began to stress how well I was treated. I would like to say again , Thank you! Best experience EVER when purchasing a vehicle. Information from the website was thorough and accurate. No pressure, no nonsense sales environment. Prompt, courteous customer service. Complete and thorough follow thru. 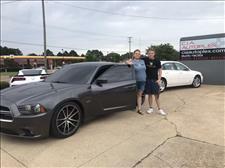 This business shatters the stereotype of used car sales. We expect to make future purchases with this crew! Absolutely one of, if not the best experience buying a vehicle. 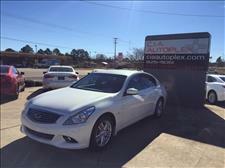 If you are in the market for buying a vehicle you need to check CIA Autoplex out. Josh was a big help!!! 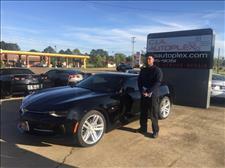 Go by and see Josh if your looking for that next ride!!! 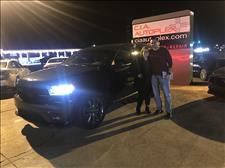 Josh and the rest of the staff at CIA Autoplex were a pleasure to work with. Everyone is so friendly and professional. Loving my new ride! 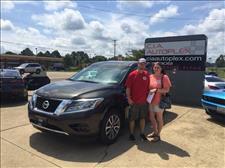 We had an awesome experience with Josh purchasing our Pathfinder. Would definitely recommend! Josh at CIA is awesome!! He did everything in his power to help me purchase my vehicle. I highly recommended him, y’all!! No hassle deal. They were straight up. And sold me what I was looking for. I would suggest this dealer. My salesman Josh was great. Great place to buy a car. No hassles. Everything was smooth and fast from beginning to end. 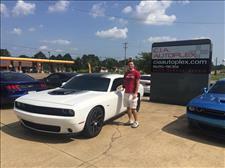 Get with Josh and let him get you the car you want! Great buying experience!!! Love the Tahoe!!! 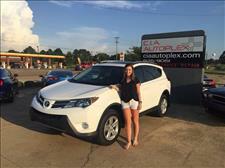 We just bought a Rav 4 for our daughter. The vehicle is great, but the staff is better. Never felt rushed or pressured. Answered all of our questions. Would do it again. Second time buying a car from CIA and they never disappoint! Ask for Josh.. he makes it easy! Wonderful experience! I have a taste for muscle cars and they had a wide selection of them! The staff were incredibly friendly and supportive. 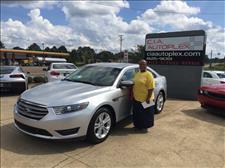 There was no pushing or pressuring into buying a car. This is a one of a kind dealership and i definitely recommend them. 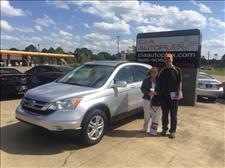 Alicia Thames DelPriore Highly recommend Josh and CIA Autoplex! Was smooth and timely for the entire process!! Much appreciated!! Joshua Johnson was great!! He took really good care of me! He did so good until I had to say wait.. this can't be right! lol I would recommend these folks to anyone!! 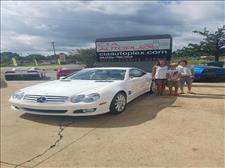 They have good quality cars and their salesmen are amazing!! 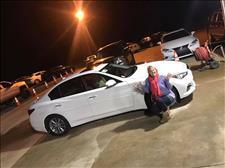 I'm loving my Camry!! Quick and easy deal! No hassle, no troubles. Will recommend to everyone! Thank you all! I found my truck online, showed up, and was greeted as I was getting out of my vehicle. 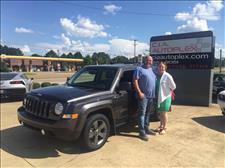 Josh was very knowledgeable,super courteous, and made sure I got what I wanted. 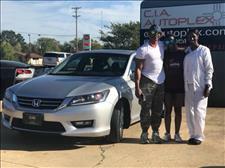 The whole staff at CIA helped in purchasing the vehicle. 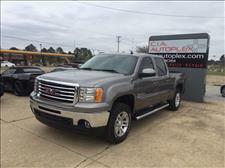 Great vehicle selection, Great staff, and Great pricing. I will buy again from CIA Autoplex. Great people to deal with. I felt Josh was both fair and honest. He was great to work with as well as the entire management team. Today I helped my son purchase his first car. When we first started this endeavor I had my used car salesman repellent ready and waiting. But it was not needed. 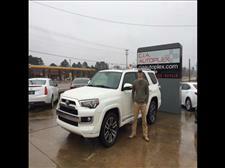 Austin, our sales person was honest, upfront, attentive, and responsive to all our request for pertinent information. They made the purchase process simple and easy. I HIGHLY RECOMMEND and will do business again. We had an excellent experience everyone was friendly and kind and made sure we were in and out quickly. It was an extremely pleasant environment. Paul was an excellent salesperson. I highly recommend buying a car from CIA Autoplex! Exceptional customer service I didn't think anyone could beat out chick fil a. Highly recommend Josh!!! He did everything he said he would and exceeded my expectations!! Very pleased and happy with my car!! Thank you for all your help Austin!! 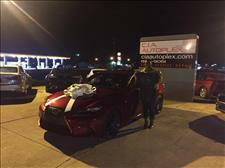 Even though I was only there to drive her away but this was by far the BEST experience dealing with a dealership! This was the easiest and most pleasant vehicle buying experience I've ever had. Josh was very professional and personable. Thanks to Josh and the team at CIA! We're really enjoying our truck! Great place to buy a vehicle. I was very impressed with how friendly and helpful the staff was. Go see Josh and check out this place before you shop anywhere else. 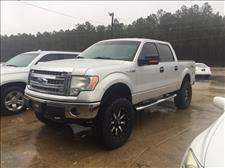 This will be my first stop when it comes time to purchase another vehicle. We had such a blast and got a fantastic car in the process!! You are and amazing salesperson!! 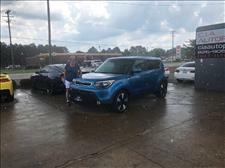 Y'all go see Austin Loveless to get a car or truck!!! 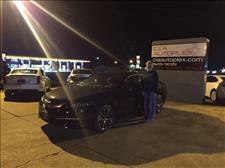 It was such a great experience purchasing my vehicle from CIA Autoplex! They have great customer service- Chelsea & Paul are both awesome! 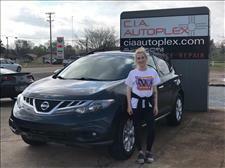 I’m in love with my Nissan Murano & my mother in law was so impressed with my vehicle and the price , she purchased her new car two days after I did from CIA. To add to the awesome customer service, I get a $50 referral check for telling her about CIA. Definitely come and check them out, you won’t be disappointed? 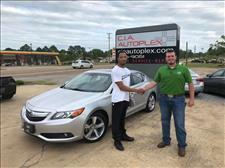 CIA AUTOPLEX is an excellent place to purchase a car...nice an friendly service...Josh is the man you want to see!!! Best cars,best staff. Honest to the bone. I've known Clifford the owner for over 12 years. No more honest person you could ever meet. Runs his business the way he lives and as if he were a customer himself. Jarod the GM good as gold. There's a reason they have grown in leaps and bounds. Great cars,only the best,and honest business practices.. They know repeat business is where longevity lives in the car business. Trust! We had a great experience with CIA! 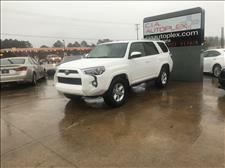 I found my suv online, talked with Josh, got all of the details worked out, drove 2 hours and he had it detailed, serviced, full of gas and ready to test drive! Josh made our experience quick and painless and I love my new mommy ride!! Thank you to Chelsae! For taking care of her customer especially at Christmas time! The Car is beautiful and I love it! Will recommend you guys to anyone. 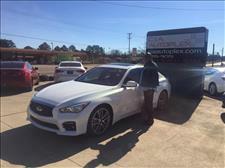 Trustworthy Professional Great Customer Service and Great Cars! 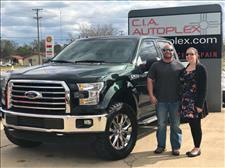 Our third vehicle bought from CIA and we love it!!! Staff is awesome and in and out in no time!! Chelsea Kelley was great! So helpful and friendly! Thank y’all! 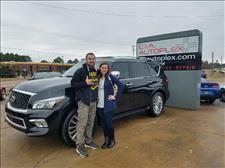 Very pleasant experience getting my new ride thank you Chelsea! This is by far the best dealership around! Ms. Chelsea was the Greatest. Most kindest and helpful person ever! She will make sure that you get in the vehicle you want! I will always buy my vehicles from here! Very nice and wonderful people. Big shout out to hunter and Chelsea. Paul and Mike are outstanding. They are straight shooters and will respect your time. Very transparent. They made my dream car come true. Thank you guys! This was the best car buying experience I have ever had. 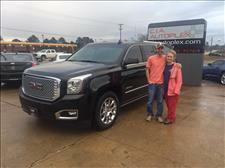 Josh Johnson assisted me in purchasing a GMC Truck. 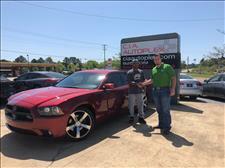 His no pressure sales style and deep knowledge of the car buying process guaranteed I will be purchasing my next vehicle with him at CIA. Great experience! Wonderful employees, great selection and non pushy! I would recommend this lot to anyone... and have already! This is a great honest dealership that stands by their word! Go see Josh Johnson he’s top notch! He did everything in his power to make my purchase easy and pain free. He also never pressures you into buying or doing anything you don’t feel comfortable with! I highly recommend this dealership and salesman! 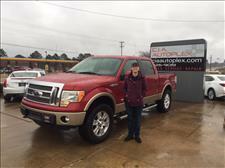 Thanks again I love my truck! Had a great experience purchasing my truck with this team of guys. Highly recommend them. Great experience!! Everyone was so friendly. I was very lucky to have worked with Josh. He was very professional, knowledgeable and also very patient. He gave me my options and allowed me to think it over. There was no pressure. After talking with Josh and Jared, the deal was made!!! I would definitely recommend this place! Ask for Josh!! 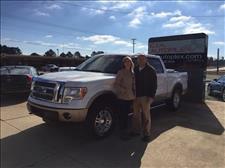 Very pleased with the professionalism and willingness to work on price for the F250 we purchased. 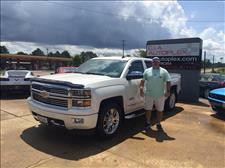 I recommend Josh Johnson for you to work with if you are wanting to purchase a vehicle. Very smooth process. Great experience from day 1. Professional, courteous, knowledgeable, and always available. Found the car online from out of state and had no issues. Great vehicle, as advertised, excellent price. 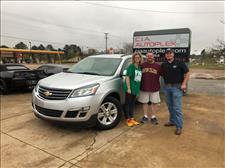 Josh Johnson was very helpful and accommodating. Would recommend to anyone. We were very impressed with Josh. 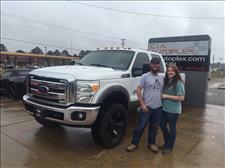 He went above and beyond to make sure we were not only satisfied, but happy with our purchase! 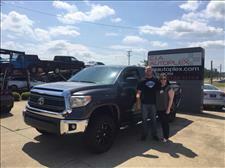 Excellent company with excellent customer service!! We will shop here again! These guys really know how to sell cars in the new age of the internet. Filled out my app online, got a deal, got some insurance, picked it-up a day later without any problems. When I got there, there was someone washing it. And while we went over the loan, he took the car across the street and filled it with gas. Couldn't be happier with Josh, Mike, and all the guys at CIA Autoplex. Plus, a referral will earn me a cool hundred dollar bill. Thanks to everyone again. I just bought the truck of my dreams because of these friends. They made me so comfortable about the entire process. I couldn’t have asked for any better. Thank y’all for what you do.